A superb, full-length leather greatcoat in black cow hide. 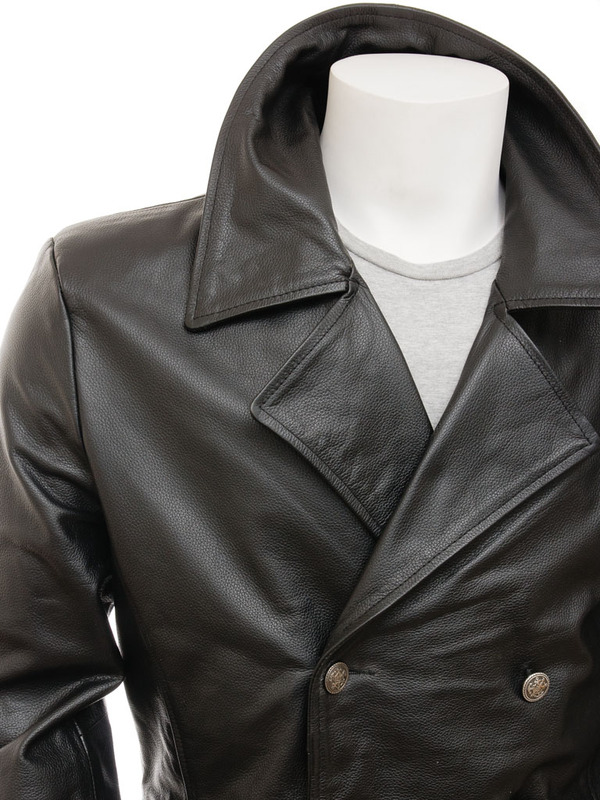 This is a really special piece, crafted from grained cow leather so it is ultra durable. 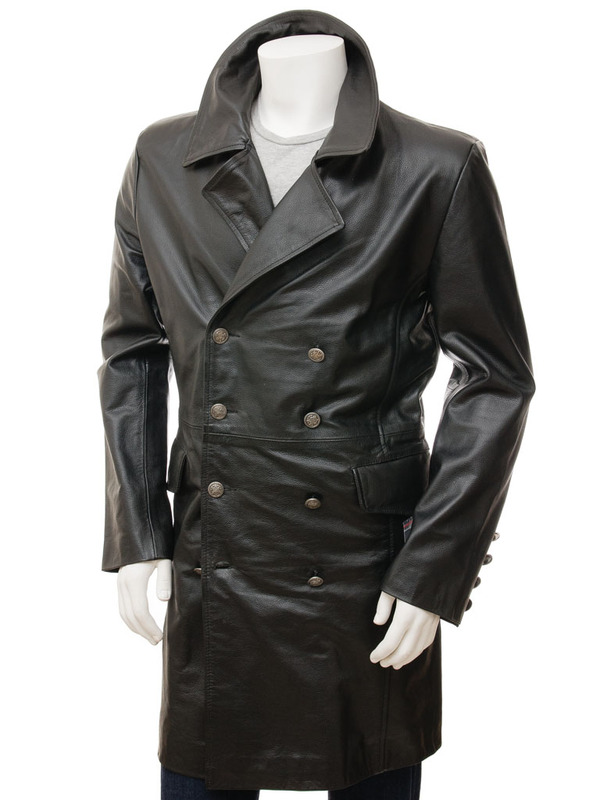 The styling is based on the classic military greatcoats of the late 19th century. 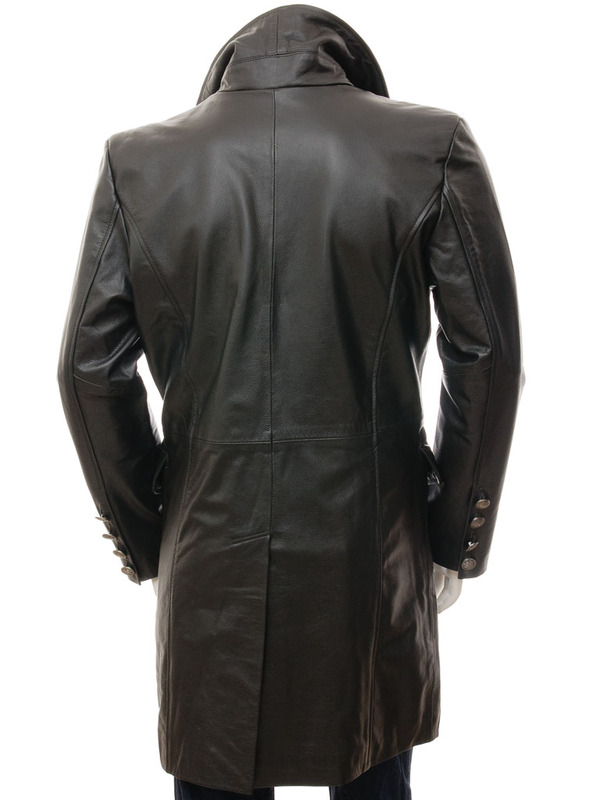 Designed to reach the knee it is a double breasted coat with wide notched lapels. Metal buttons with a regimental insignia on both the body and cuffs are authentic military details. The cuffs incidentally even unbutton so they can be folded back. Deep, horizontal flap pockets at the hip offer plenty of storage space while the rear of this amazing coat sport a single back vent. 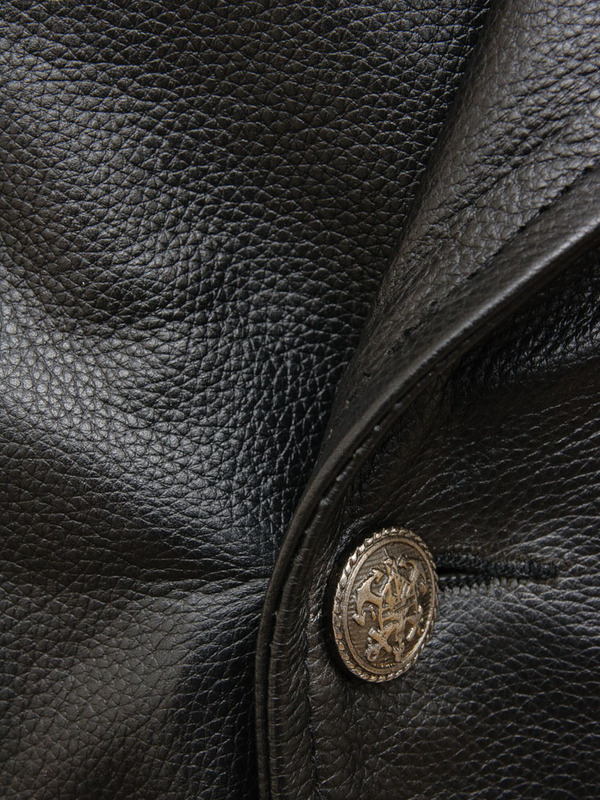 Take a look inside and you will find the coat fully lined in satin with two more leather trimmed pockets.